I have to come clean and admit that I love freeware. Yes, I know that everyone likes getting something for nothing, but I’m talking about a lifelong addiction here. 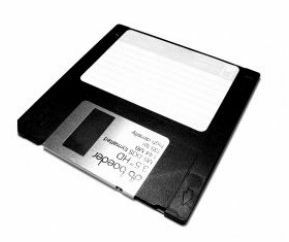 I think it started many years ago when I first started using BBS, then progressed to CompuServe and AOL. While most people were excited about hearing “You’ve Got Mail,” I was most thrilled about all of the freeware programs that I was pilfering (legally!) from its libraries. It was just like I was some kind of addict getting a fix every time I downloaded a new freeware utility that I didn’t even need. Over the years, my addiction didn’t stop, it merely morphed into new platforms and technologies. When the World Wide Web took off, I found nirvana with web sites like Moochers.com (sadly no longer around) that hosted tons of freeware programs. I couldn’t believe it — sites dedicated to free stuff. It only confirmed that I was not the only one with this addiction. Fast-forward to recent times and, thanks to the Web 2.0 era of the “freemium” services, I’ve found myself signing up for services I didn’t even need. Yes, as a technology writer I sign up for many apps in order to review, but I have to admit that I still sign up for many of them that I have no intentions on writing about. I guess old habits are hard to break. Here’s my list of places to find the best free stuff — from freeware software to free web apps and services — now. There’s a major difference between freeware and shareware/adware. For me, freeware is the good stuff that comes without the usage restrictions or crippled features that are hallmarks of shareware. Freeware is also devoid of the advertisements that riddle their adware brethren. Here are my favorite places to find new freeware treasures that are safe from annoying ads and potential spyware. Tucows has been around forever and has amassed a large collection of good, clean freeware. NoNags is probably the oldest resource in this bunch, having started in 1995! The site hasn’t changed much in appearance, but it continues to provide top-grade freeware. Snapfiles has been around since 1997, and has an impressive freeware section, organized into categories. FileHippo doesn’t have a freeware-only section like the other sites in this round-up but I’m including it because I love its Update Checker tool that auto-updates a ton of applications installed on your system. Kids Freeware does exactly what it says, provides a vast collection of freeware programs, games and more for kids. SourceForge is the best place to find open-source applications. Go2Web20 is the ultimate directory of Web 2.0 apps and services. Its new interface actually makes it fun to find just about any kind of web app you’ll ever want or need. Most of the apps include free basic plans with options to upgrade to premium packages if/when you’re ready to do so. KillerStartups is another impressive index of available web apps. It’s not as easy to use as Go2Web20, but it does provide helpful mini-reviews for countless web apps. Appolicious maintains a massive list of mobile apps available for the major mobile platforms such as the iPhone (s aapl), Android and more. However, its specialty is the iPhone. You can filter any of their categories to display only free applications which is quite handy indeed. 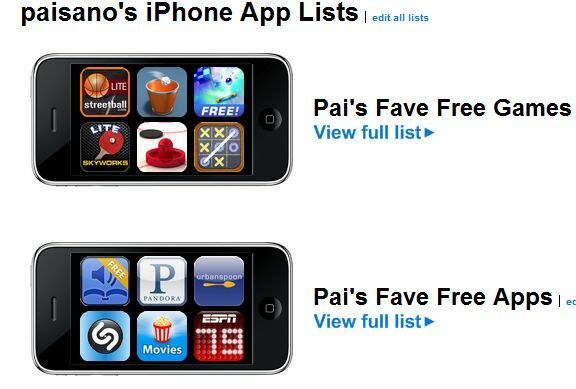 Yappler is another favorite of mine not only because it makes it extremely easy to find good free apps for the iPhone but also because it lets you create lists of your favorite apps and games that you can share with anyone via email or on social networks. You can also embed a visual list of your favorite apps on your blog or web site. Those are my favorite places to find cool free apps. Where do you look? Um, also, “Confessions of a Freeware Junkie” is a decent site. Freewarefiles.com is an excellent freeware site. It’s my go-to site when I realize I need something that I don;t have. This is a pretty good site. I visit it daily. What about http://www.codeplex.com – I have found some nice solutions there. Mainly web apps, but nevertheless, another place to find something without having to dig the credit card out! Nice article, but why in the world would you include links to each website’s logo??? I read “Paisano” and thought it might mean “money, no” because “paisa” is an Indian word for money. It turns out “paisano” means peasant or countryman, but it’s a good coincidence for an article on free stuff. You might also want to check out http://www.freewaregenius.com/. Might I suggest http://alternativeto.net/ ? You also needto try http://www.giveawayoftheday.com. They giveaway . . . but only for one day, Very good utilities and profesional software, most of them from Europe. Freeware, preview and rating all together!! Tucows was actually founded in 1993, before NoNags! It’s more programming oriented, but free and very useful anyway.